MIKEMOXIEMAINE wrote: Please no Sandite on the MBCR, the grit gets into to everything below the frame. 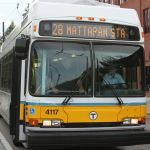 Your first post on the MBTA Forum! Wow!!! Are they worried the water will push the tracks out of alignment? mechanical issues with the Geo car and wasn't repaired until yesterday. control car and MBTA locomotive. return to Boston. Boston to Haverhill/New Hampshire state line & return. I presume they will test the Southside this weekend if everything goes as planned. BTW, the Southside Power Train is based in Readville. The geo train had issues with a loco, had to get a new one before they went out this AM. As of 10am they are on the Eastern Rte somewhere. 406 & 408, but it all depends. clear at BET. Engine 1074 was the culprit! Aww man one of my faves! Let's just say that any mosquitos left in Somerville were wiped out by the application of heavy, black smoke. And when the engineer called on the radio one could hear the alarm bells ringing in the cab. He was able to restart the loco, and we slunk back into BET. I was just happy it happened at the very end of the day. did the southside get done over the weekend?